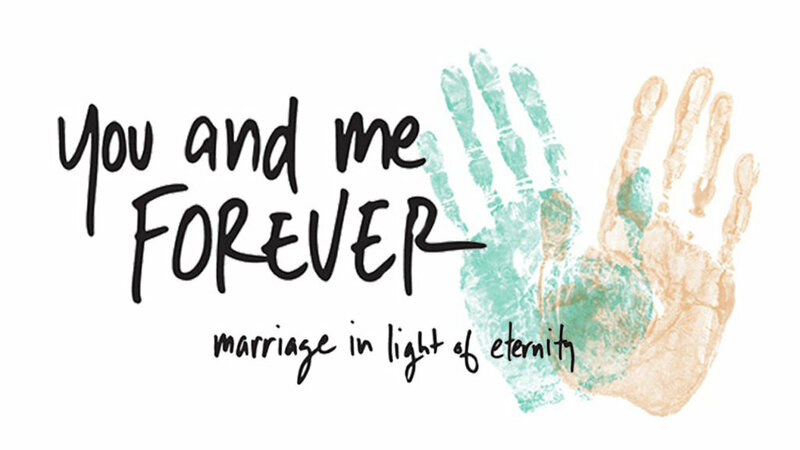 During February and March of 2019, the Hampton Roads Church will focus on our marriages in light of eternity and in light of our purpose in Jesus. The videos and resources below from You and Me Forever ministries. Marriage is great, but it’s not forever. It’s until death do us part. Then come eternal rewards or regrets depending on how we spent our lives. This small group study will refer to the Chan's book and our teaching series during midweek services and small group gatherings. If you purchase the book, please note: 100% of the net proceeds from You and Me Forever will go toward various gospel-centered ministries around the world. What stood out to you from this video? How does looking at your marriage in the light of eternity change your perspective? What does a marriage that glorifies God look like? Read 2 Peter 3:10-12. How do these verses impact the way we live in marriage? Is God your first priority, even over your marriage? What gets in the way of making your relationship with God your first priority? Find a quiet place this week where you can tune everything out and have a couple moments with God. Francis said that he likes to close his eyes and picture himself in the presence of God Himself. Purposefully choose this week to have a moment with God where you are completely fixed on Him. Our marriage is supposed to attract people to Christ. What do you think people are attracted to when they view your marriage? How can human marriages be an example of Christ’s unconditional and sacrificial love? How does the world’s current view of marriage contrast with a biblical view of marriage? Read Romans 12:2. How has your view of marriage been conformed to “the pattern of this world”? What difference has the Holy Spirit made in your life and in your marriage? How should the fact that the Holy Spirit lives in your spouse impact the way you treat them? Take a moment right now and discuss with your spouse (or reflect silently, if spouse isn’t present). What you can do this week to purposefully “abide” in Christ. How will your actions change this coming week because of what you have heard today? Read Philippians 2:3-8. What do these verses teach us about humility? Why do you think it’s so hard to consider the needs of your spouse above your own? Why is it important that both our attitude and actions are rooted in humility? Why is our pride such a big deal to God (Proverbs 16:5)? How can we resist being prideful in our marriages? What do you and your spouse argue about? What does that say about you individually? Everything you hear today is about fighting for your rights, but Jesus shows us we need to fight to be a servant when he washed his disciples feet (John 13:1-17). What does this teach us about how we should treat our spouse? Will you take on the “Out-Serve Challenge” Francis talked about? What tangible things can you do this coming week to “outdo” or “out-serve” your spouse? How did your “Out-Serve Challenge” go last week? Any surprises? Read Matthew 28:18-20. Is the primary goal of your marriage to be on mission together for God making disciples? What does a “missional marriage” look like? Why does pursing God’s mission together help a marriage thrive? What happens if only one spouse feels a calling to do something, like Francis did in the video? Lisa and Francis challenged us at the video to take a step of faith and do something, put what we are hearing into action. Who can you bless this week? Who can you serve? Take a moment right now and discuss with your spouse (or reflect silently, if spouse isn’t present). What is God calling you to do? Are you willing to purse God’s mission for your marriage even over your own comfort? What scares you about fully submitting to what God has called you to do? What does it mean for your lifestyle? Are you making intentional eternal investments and deposits? What do these look like? What does your current “investment strategy” tell you about your heart? What motivates you to live sacrificially? Why is guilt not a good motivator? How do you feel about sacrificing for others in order to gain a reward in heaven? Do you think that’s an appropriate, godly motive? Why or why not? Read Revelation 22:12. How does this change how you will live your life and what you will do? As an individual and as a married couple? How will your actions change this coming week because of what you heard and studied today? Read Psalm 127:3-5 What do these verses teach us about God and children? Read Deuteronomy 6:4-8. What do these verses teach us about the parents’ role in raising godly children? How might God be using your children in your own sanctification journey? How have you matured in Christ as your children have grown? How can you see your children as God sees them and allow the Holy Spirit to work in their lives? How do we help our children transition from being under our leadership to being under the leadership of the Holy Spirit? Do you believe that if you focus more on abiding in Christ than in parenting techniques that you’ll be a better parent? Why or why not? What changes have occurred in your life theses past weeks as a result of God working in you because of something you’ve watched or discussed in this series? If nothing has changed, why do you think that is? How does the idea of actually running faster toward the end compare to most people’s idea of retirement? Read Philippians 3:12-16 and 2 Timothy 4:6-8. What do these verses teach us about finishing well? Why is it important for you to pray as a couple and what needs to happen for prayer to become a natural part of your relationship? How is God calling you to invest in eternity? What does God want you to do in and through your marriage? What changes do you need to make with your children in order to make sure they see your priority is God first, then your relationship with our spouse? How can you better utilize your resources for eternal purposes? Who is God specifically calling you to serve?